Shown in Finsbury Willow with Scatter Cushion in Rio Willow. 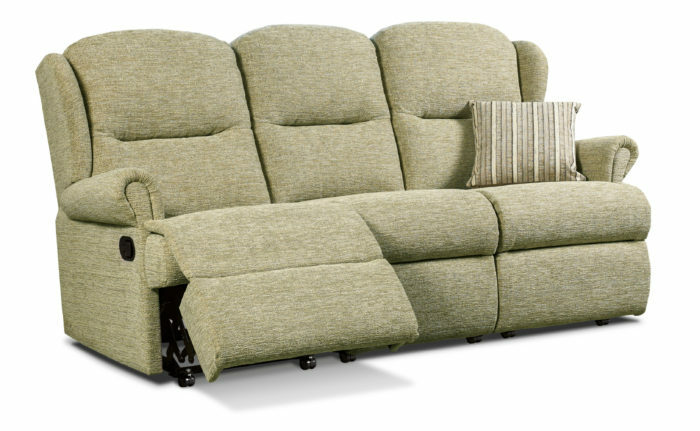 With two independently operated smooth reclining actions (centre seat fixed) for excellent comfort and relaxation. 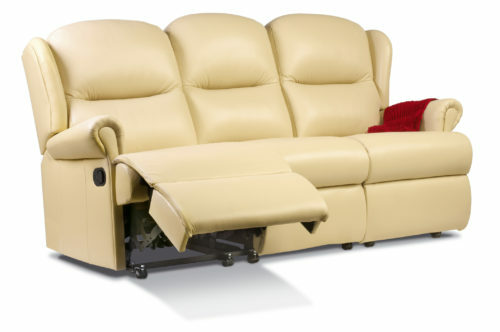 Supplied in three easy bolt-together sections with removable Recliner backs for ease of delivery. Use this exciting new feature to visualise the Malvern range in any of the covers in the extensive Sherborne collection. Sherborne Recliners are truly the most relaxing type of Chairs you could ever possess. Read more here. 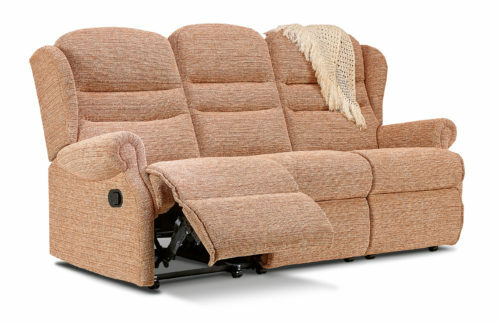 For the ultimate in effortless reclining comfort choose the POWERED RECLINER with the two-button switch on the outside arm. RECHARGEABLE POWERED OPTION also available.